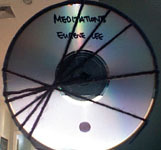 On this solo disc, his third, Portland, Oregon-based saxophonist Eugene Lee marks a further step in the disciplined path that led through his last release, Meditations (Pure Potentiality, 2008). equilibrium (all the titles are in lower-case, e.e. 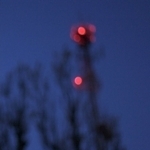 cummings-like) shares some elements of Meditations, notably the presence of Lee alone and the liberal use of electronics to generate a wealth of sonic variety: echo, loops, distortion. While the earlier record depicted the various states of the mind during meditation, this recording opts for less programmatic themes, and fewer, longer numbers. The electronics, meanwhile, are live this time round, relying on guitar pedals to modify the signal. "rain" charts the progress of a rainstorm, with electronic effects approximating rainfall and thunder. Unlike, say, Beethoven's celebrated version of a thundershower in his Symphony No. 6 (Pastoral), Lee doesn't present the storm as a story with an anthropomorphic narrative arc: Lee's storm ebbs and flows, quiets down and gets loud again, just like rainstorms do. Ultimately, the storm passes. At various junctures, Lee's saxophone returns to a repeated melodic fragment, which lends unity and coherence to the performance. "clarity," too, returns to a melodic center amidst the swirling effects set in motion by the electronics, though perhaps less successfully than on "rain." This longest of the three compositions suggests a tumultuous quest for the clarity of the title, though the long sustained, harmonic chord at the end sounds like success much like the seated meditator, who was the protagonist of Lee's previous disc, finally calming his or her "monkey mind." "unity," finally, is an affecting solo soprano saxophone performance without electronic embellishment. Lee's long performances draw a lesson from the late classical composer Toru Takemitsu, who once likened the progression of his pieces to walking through a garden: roughly speaking, you keep walking, but sometimes you turn back to have another look at that rose bush or that statue. That's a good way to write about a storm. The music on this disc is challenging material, at the juncture of improvised jazz and electronic music, at times bordering on cacophony. But it is challenging material made welcoming and familiar by that gesture of going back and having another look at that rose bush. Track Listing: Rain; Clarity; Unity. 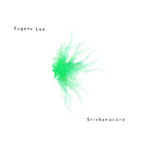 Personnel: Eugene Lee: soprano saxophone, electronics.